When you are looking for a veterinary care clinic you should be able to count on superior care and excellent service. 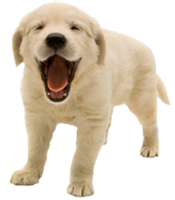 We at Ontario Veterinary Hospital in Ontario CA have assembled an expert team of veterinary professionals to bring you the best possible healthcare for your pet. We have a state of the art veterinary facility which is clean, comfortable, and efficient. Call 909-984-2211 to schedule an appointment and we will find a time that is convenient for you. Once a year, you should take your pet in for a check-up. This will include a full physical exam, and may include teeth and gum cleaning if needed. Our doctors will check the health of your pet from head to tail, and you will be very happy you came to Ontario Veterinary Hospital for service. Internet sites that sell pet drugs can be reputable pharmacies. However, others are fronts for businesses breaking Federal, State, and sometimes, international laws. Illegal online pharmacies may sell medicines that are counterfeit, outdated, mislabeled, incorrectly formulated or improperly made or stored. These medicines may not contain the actual drug, or the correct amount of drug, may contain contaminants, may not work as well due to age or being stored in conditions that were too hot, cold, or humid, and may not have the proper directions for use. If you are unhappy with ordered products, illegal online pharmacies may fraudulently leave you with no way to get your money back. In the end, you may find buying prescription pet medicines online costly to your pet’s health and your wallet. Before you purchase online, talk with your veterinarian! Your veterinarian supports you and wants what’s best for both you and your pet. Ask questions, like “Do you trust the internet pharmacy site?” “Have you ever worked with the company?” “Have other clients used that site? If so, what were their experiences?" • site is not licensed by the State Board of Pharmacy where the business is based. If the site operates in the US, check the National Association of Boards of Pharmacy (NABP) website to see if the pharmacy is properly licensed. • site’s prices are dramatically lower than your veterinarian’s or other website’s prices. • site ships you products that you didn’t order or looks very different from what your pet normally takes. • are appropriately licensed in each state where they ship drugs. • have successfully completed a 19-point review and online survey. • undergo yearly VIPPS review and reaccreditation. • undergo NABP on-site surveys every three years. Vet-VIPPS accredited pharmacies must also meet other strict criteria, including protecting patient confidentiality, quality assurance and validity of prescription orders. The best defense you have against illegal online pharmacies is education. Do your homework and be online pharmacy A.W.A.R.E. before you purchase your pet’s medicines online. An informed consumer is an empowered consumer.